Steam Distilled Cornmint Essential Oil can contain up to 80% menthol. However, most Cornmint Oil has been fractionated (dementholized) to remove a large percentage of the menthol. The resulting dementholized oil, therefore, is not commonly used within holistic aromatherapy. Peppermint Essential Oil is preferred for aromatherapy applications. Within fragrancing and soapmaking applications, however, Cornmint can be a practical substitute for Peppermint Essential Oil due to its lower cost. Cornmint Essential Oil is sometimes passed off as Peppermint Oil, so it is important to be careful of where you procure your oil. Highly concentrated menthol/mint aroma. Depending on the source and level of dementholization, it can have a much more potent aroma than Peppermint Oil. It's potential applications are similar to those of Peppermint Oil. However, Peppermint Oil is generally preferred for holistic aromatherapy applications. Source: K.H. Kubeczka, Essential Oils Analysis by Capillary Gas Chromatography and Carbon-13 NMR Spectoroscopy, Second Edition. (Chichester: Wiley, 2002). 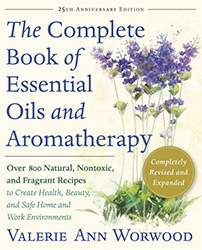 Source cited in Robert Tisserand and Rodney Young, Essential Oil Safety (Second Edition. United Kingdom: Churchill Livingstone Elsevier, 2014), 261.